DO YOU LOVE CANDLES? 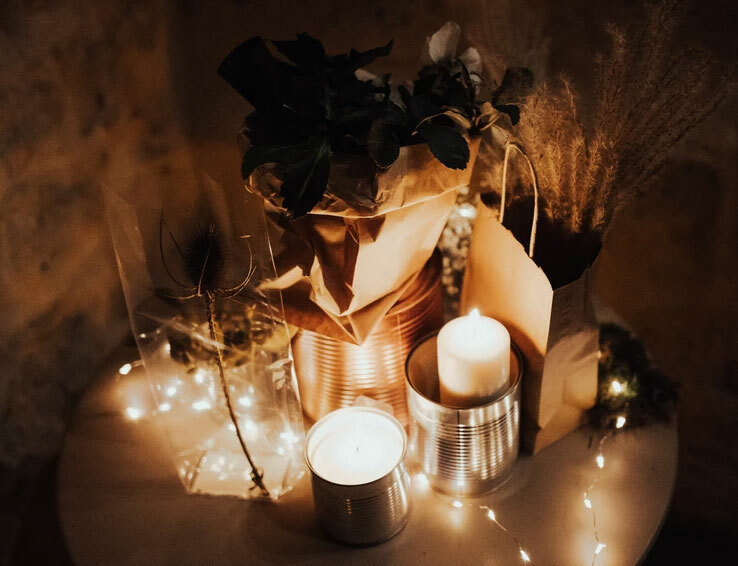 Why sitting surrounded by calming candles may NOT be the best stress reliever..
Picture the scene: lighting a few of your favourite #candles and then sitting with a well-loved book or magazine, or listening to some relaxing music. Such a perfect way to chill and de-stress! Those candles give off such a warming glow, which in itself is relaxing – quite mesmerising in fact – and the scented ones smell so fabulous too! I was sitting at home one Saturday evening, waiting for a friend to pop by for a glass of fizz. The kids were in bed and (finally!) settled, and I’d lit a selection of different coloured candles and arranged them in height order in my fireplace: in spite of being simple, cheap candles they looked so lovely! And I just loved that smell of vanilla… I remember tuning the radio in to something soothing and looking forward to a chilled evening of catching up. The doorbell went and in came my friend (also Liz): I poured us each a glass of bubbles before leading her into the ‘chill zone’ of my little sitting room. Suddenly, we are anything but chilled! “What on earth are you doing?” exclaimed Liz. “Whatever do you mean?” I replied, laughing. I should perhaps explain at this point that I was still undergoing treatment for a lung condition, hence the strength of Liz’s reaction! For my part, I felt incredibly silly for the fact that this was something that had honestly never occurred to me. In spite of preaching for years about the importance of what we put into our bodies in terms of our nutrition, I just hadn’t considered the importance of what we breathe in to our lungs – in spite of my own health condition! Research indicates that some scented candles “produce smoke laced with almost as many toxins as those produced by cigarettes”: surely then this is something we should ALL be aware of? Few of us allow cigarette smoke indoors in today’s day and age – instead we ask smokers to go outside where the smoke fumes will at least be free to dissipate. And yet we light candles in small rooms, and then shut the door to better enjoy the scent! 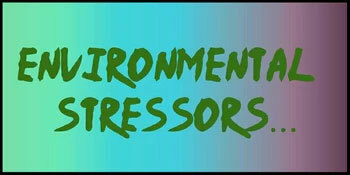 With little ventilation, we are fully exposed to this potent form of indoor pollution. The fact is that we need to educate ourselves as to what is actually contained within our candles: we should be “reading the label” just as we do in our food products. (There is actually CLP legislation covering what must be included on candle labelling, though admittedly this is mostly concerned with fragrances and dyes, and not with the wax itself). So what exactly is it that we should be careful about? The majority of candles are made from PARAFFIN. This is the final by-product created when petroleum is refined (is that really what you want to be inhaling for your stress management??) Burning paraffin releases volatile organic compounds (VOCs) such as toluene and benzene (both known carcinogens). Short term exposure can cause irritation to eyes and to breathing; long term exposure meanwhile can lead to more serious health problems, and can certainly exacerbate complaints such as asthma and eczema. Candle wicks are typically made of braided cotton, but metals are often added to make the wick stand up straighter. Until more recently many scented candles contained LEAD within the wick: a “dangerous heavy metal”, considered to be especially detrimental to children’s health. (Back in 1999, a study produced by the University of Michigan found that approximately 30% of scented candles released lead into the air). It is now claimed that candles made in the UK and the USA rarely use lead wicks, HOWEVER there are endless cheap brands on the market imported from China and Hong Kong where there are no such promises… By far the safest way forwards is to only purchase candles which advertise that they are lead free. SYNTHETIC COLOURING is the final consideration. Pigments used are varied, but in most cases “synthetic dyes will give off some unsafe particles on burning”. IS THERE A HEALTHY ALTERNATIVE? So the good news is that we can still enjoy candles, but – much as with our nutrition & cosmetics – we do need to genuinely know what each candle contains, and to enjoy healthy candles you will probably need to spend a little more money. So, which candles should we be buying? Soy candles avoid the health risks discussed above (though this brings up the GM question, and hence environmental pollution and other health related issues). 100% beeswax candles (which have the added bonus of emitting negative ions, and therefore actually purifying air quality!) are a great option. They are also hypo-allergenic, and have a much longer burning time than paraffin candles, and rarely drip. More and more natural candle alternatives are appearing. A recent discovery is a coconut and apricot wax blend…keep your eyes peeled for more! In terms of scents, candles which use essential oils are natural and avoid all the dangers of synthetic fragrances, whilst also offering benefits to both physical and mental health for those who believe in the benefits of aromatherapy. So, the final answer is that yes, you can enjoy your candles. But please, please do stop and think, do the research and ask, ask, ask, rather than relying entirely on labelling which is often less than helpful. 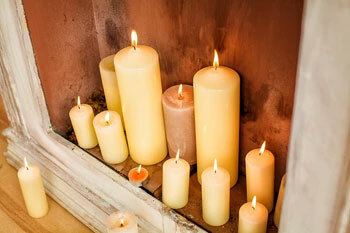 If you choose carefully, candles can in fact enhance your health. Only by making considered and informed choices will you be able to create that “chill zone” you picture, complete with flickering flames and sweet-smelling scents. I still think of my friend Liz every time I light a (natural) candle…and am so grateful for her “gas chamber comment” – even if it did scare the life out of me at the time! !